Have you ever struggled to explain to colleagues, friends, or family what it looks like to use SurveyCTO in the field? Dobility founder and CEO Dr. Christopher Robert shares what he loves most about SurveyCTO – plus new footage from South Africa. 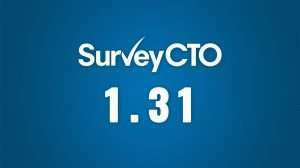 Interested in getting into the nuts and bolts of how SurveyCTO works? We have a number of tutorials on our YouTube channel and are always open to ideas about what we should focus on next.